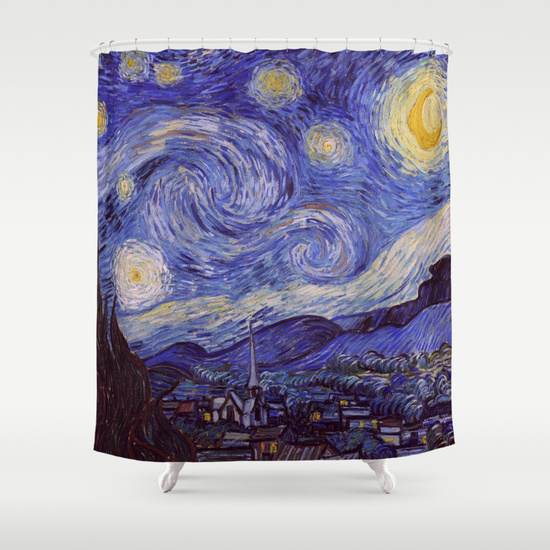 Customize your bathroom decor with a Starry Night Shower Curtain. It's a painting by Dutch post-impressionist artist Vincent van Gogh. The blue night sky is filled with swirling clouds, stars, and a bright crescent moon. It has been in the permanent collection of the Museum of Modern Art in New York City since 1941. 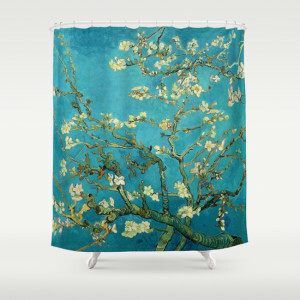 The painting is among Van Gogh's most well-known works. Beautiful artistic decorative vintage fine art.